There were 7 members of the 2/4th who were taken by the Japanese Imperial Army for execution. In all cases there does not seem to be any apparent motive except the fact that they were machine gunners. Considering the punishment dealt out by the 2/4th during the Battle of Singapore this was probably reason enough for the Japanese to take vendettas out on the men. The following is from Captain Avon Smith-Ryan’s diary for 15 February 1942. ‘Captain Thompson, Lieutenant Raphael and Private Brown were with the unit at Buona Vista on 15th February 1942, the date of the capitulation of Singapore. On the 16th a portion of the unit was moved to Holland Village and thence to Raffles College Square. During the afternoon of the 16th whilst we were concentrated at Raffles Square a Japanese soldier entered the square and ordered Captain Thompson, Lieutenant Raphael and Private Brown (who were standing at the end of a column) to accompany him. They were marched to the roadside where they were placed on a truck’. It is believed that these men were questioned on the Monday, Tuesday, and Wednesday and on Thursday 19th February, at 1715 hours were executed with their hands tied behind their backs. The other 4 battalion members were in a second firing squad but not all collected from the same location. The first 2 men were Privates Les McCann and Rupert Millhouse. The ambush at South-West Bukit Timah on Wednesday 11th February, Les McCann was wounded in the right leg by mortar fire and took refuge in one of the native huts at the opposite side of the clearing. On the 13th February he was joined by Rupert Millhouse who had received 4 machine gun bullets to the right leg. The next day the two men decided to move out towards the West Coast Road. That evening they received medical attention at the Mohammedan’s Institute where on 15th February they were informed that all British forces had surrendered to the Japanese. On the morning of 16th February McCann and Millhouse moved out again along West Coast Road where they met 3 other Australians near Pasir Panang Village. At the entrance of a house the 5 men were stopped by the Japanese sentries and ushered inside. They were then locked in a room fitted with barred windows. At about 1800 hours that evening they were taken outside and put on a truck. At the gate they met another Japanese who was escorting more Australians including R.S. Fred Airey and Private Harold Ockerby; the remainder were all members of 2/28th Battalion. R.S.M. Airey had been conscripted to drive trucks for the Japanese for the purpose of collecting Japanese bodies to be taken to the crematorium. It was here the R.S.M. Airey met up with Harold Ockerby, the former driver to Lt-Col Anketell. During the time on the truck the Japanese tried several times to relieve the R.S.M. of his haversack but he obstinately refused to hand it over to his captors. 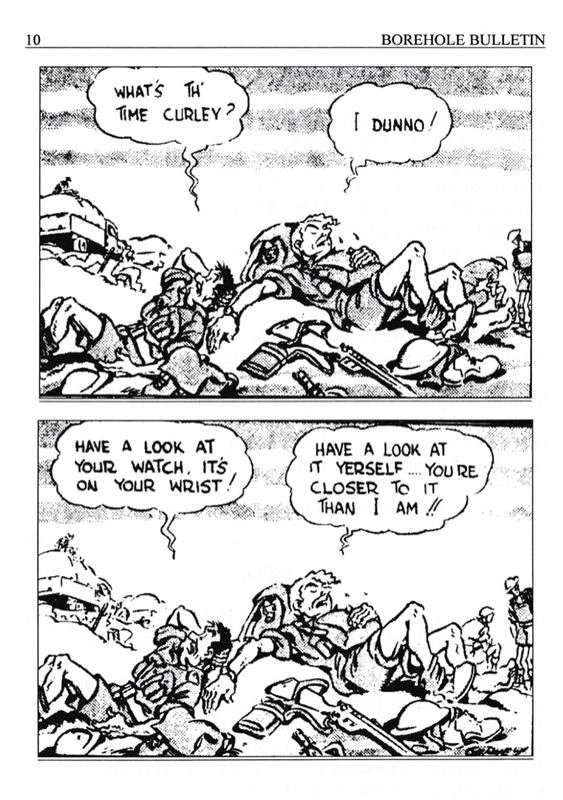 Unbeknown to the Japanese it contained the Battalion Headquarters battle diary. After driving for some time it appeared the driver was unable to find his destination and returned to the starting point at the house. R.S.M. Airey was later questioned and told the Japanese officer they were all machine gunners. At this point some of the men spoke out saying they were in fact drivers from the 2/18th. McCann notes that from dawn on 18th February the Japanese appeared decidedly unfriendly. At 1730 hours the entire group of fifteen men were taken one by one and their hands tied behind their backs. This group of unfortunates who had probably done northing more than be in the wrong place at the wrong time were then marched down the road in single file to the jeers of Japanese soldiers lining the road. Turning north onto Reformatory Road, the group were marched a further 400 yards then halted and lined up with their backs parallel to a small stream. The location as later identified by McCann is thought to have been at map reference 753097. Seven Japanese soldiers then appeared on the scene and lined up in file about 10 yards in front of them. The men were ordered to about face and the sound of rifle bolts being worked was heard from behind. McCann recalls telling himself that the situation was not looking too good. Suddenly there was the all too familiar crack of rifles being discharged. McCann was knocked unconscious, the force of the bullet entering his rib cage and tilted him over the edge of the steep bank on which he was standing. A temporary lapse in proceedings indicated that all the men had either fallen into the creek or on the bank above. The Japanese firing squad then advanced several paces and fired a second volley into the limp bodies until they were satisfied that all sign of life had expired. McCann remained still for what he believed was five minutes and then hearing no sound freed himself of his bindings, struggled to his feet and moved off along the stream. R.S.M. Airey on the other hand hearing the crack of rifles discharging forcibly, threw himself into the stream at this stage he was unharmed. When the Japanese fired the second volley he was grazed on the forehead and with blood running over his face, gave the impression that he had received a fatal wound. On hearing the Japanese voices fade into the distance and after what R.S.M. Airey thought was a safe period of time, he opened his eyes and looked around. Checking all the bodies he believed that everyone had been executed and made good his escape. If R.S.M. Airey is correct then it is feasible that McCann may have been unconscious for longer than he thought. After having gone a short distance McCann lost consciousness until just before sunrise the following day. At this stage McCann did not know the extent of his wounds only that his shirt was soaked in blood and that he was in pain. The bullet in fact had entered his back under the shoulder blade between the 4th and 5th ribs and exited at the 5th rib. There was no damage to the heart, however his left lung had collapsed. McCann redressed his leg wound but was unable to do anything about his chest wound. He then moved back to the location of the massacre and discovered the Japanese had felled a rubber tree in a halfhearted attempt to conceal the bodies and the war crime. Making his way to a hut he remained there for 2 days until he felt sufficiently strong enough to continue. Times and dates now meld into one over the nest week as McCann gradually made his way ever closer to Singapore City. Eventually finding himself at Singapore General Hospital, he was treated by the Japanese and eventually released to Changi Gaol, which at this time was being used as a civilian internment camp. Les McCann rejoined the 2/4th at Selarang Barracks Changi on 14th October 1942. He had survived his ordeal but Rupert Millhouse had not been so lucky. R.S.M. Airey thought Pte. Millhouse gallant to the last as he let his executioners know exactly what he thought of them with his last breath of life. R.S.M. Airey managed to escape Singapore firstly to Sumatra then south to Java where suffering the effects of starvation he was handed over by the local people to the Japanese at Samarang. 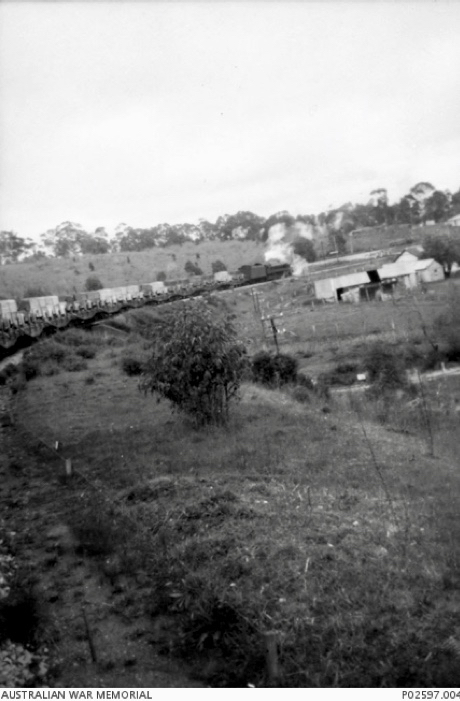 It was here that he would meet up with other Australians and finished up in Thailand on the Burma-Thailand railway with ‘D’ Force in the Hintok Area. Fred Airey and Les McCann would both survive their execution and Prisoner of War experience for they were the two who came home.